BurdaStyle, an online sewing community, makes sewing fun (and easy.) The site offers hundreds of copyright-free patterns, from cocktail dresses to bras. The patterns range from traditional to trendy, and budding designers can showcase their creations, as well as search for inspiration. The BurdaStyle blog features member interviews, style tips, and even suggested patterns that coincide with current fashion trends. BurdaStyle is not just for experts, however. Beginners can find a weath of information to get them started. 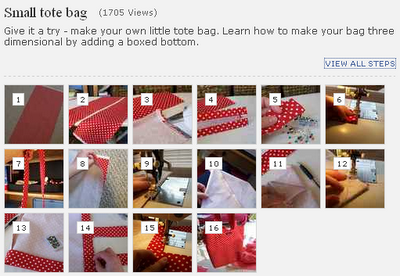 The site features a "How Tos" section with both photos and videos, as well as a user-generated sewing encyclopedia. Users can also view patterns by level of difficulty, making BurdaStyle the perfect destination for all sewers.